Lets look into some Malware Tips! More than likely if you are reading this article you have one or more computers at home or at your business. One of the major concerns many people have is, “How can I protect my computer from getting infections?” In some cases, it might be, “How can I prevent my kids from getting infections on our computers? !” If you are business owner, you probably have given thought to how important it is to make sure your staff computers are always protected and secured from all software attacks as possible. So, what can be done to protect your computers from these infections, or from what is properly known as Malware? Well, malware generally refers to any type of software that tries to attack and infect a computer or even a mobile device. Malware can consist of some common terms that you may have heard of such as: Viruses, Trojans, Spyware, Adware, Worms, Key-loggers, and more. When someone is a victim of Cyber Crime, malware is used quite often. Depending on the infection or Malware a computer or mobile device may get, it can extract personal information, passwords, and even prevent users from accessing their computers. Malware also can create many software problems to your devices. For example, you computer may begin to slow down in performance tremendously. You may begin to suddenly see what is called, “The Blue Screen of Death.” You might not be able to boot into your computer’s operating system any longer. No doubt, these infections that anyone can get, can cause some serious damage to your computer. Therefore, having proper anti-malware protection is extremely important to all types of users. Unless you live in a cave and do not have access to the internet, you need and must have protection against all culprits of malware. How Does Someone Get Malware? You may be wondering what are some ways one can become a victim of malware. Well, there are malware tips someone can get some form of malware on their computer regardless if it is Microsoft Windows or Apple OSX based platforms. Many people believe Apple computers do not get viruses. If we were back in 1999, then this statement would probably be true. However, Apple computers which consist of iMacs, Macbook Pro’s, Macbook Air’s, and Mac Mini’s all can get viruses or a form of malware. Therefore, it is important to educate yourself on how you can lessen your chances of getting malware on your computer. These tips are good to follow for the day-to-day computer users, students, business owners, gamers and more. Don’t have the basic, have the advanced malware protection on your computer. Have a good anti-virus program on each of your devices. There are many types of anti-virus programs to choose from. However, when selecting one, make sure key-logging, mail filtering, and phishing protection is also included. This provides advanced protection to your computer from a wider range of software attacks. Do not run more than one anti-virus protection at a time. Generally, it is discouraged to run more than one anti-malware protection program. This is because the programs can conflict with one another, which can leave your computer vulnerable to infections. So, if you have Norton and McAfee, then you go buy Webroot anti-virus to install it, that is a big no-no. At times, some people may have 3 anti-virus programs on them, but 2 are expired and one is active. This is not fully protecting your computer from infections. If anything, this is causing your computer to work harder, use more hard drive space, and leave security vulnerabilities on it. ALWAYS remove the old anti-virus first when installing a new anti-virus program. Simple direction, but rarely followed. Purchase a reputable and reliable anti-virus program. Do a little research and see what people are saying. See what anti-virus program tends to out perform its competitors and go with that one. PCMag is a very reputable source where you can find much valuable information regarding this. Check hereto find out further information on the best rated anti-viruses for 2017. Browse the web with caution. At the end of it all, the number one prevention to control getting malware on your computer depends really on YOU. Therefore, be cautious on how you use the web. The web is a wonderful and powerful tool, but if you are not careful, you’re going to get infected with some form of malware. Avoid shady sites that are lurking with infections. Avoid websites that do not look or seem professional. Do not open every email you get. Let’s face it, if you an email address, more than likely it has been sold, donated, or given away to unknown companies. That means, most of us receive a tremendous amount of spam and unwanted emails. So, if you do not recognize the sender of the email, then don’t open it. Do not fall for these scam emails stating that you won a free trip to the Bahamas, or click here to complete your “information” for a free trip. Stay away from these sites or else you will become a victim of identity theft and probably get some type of virus. Don’t recognize the Pop Ups? Always select NO or Cancel! We at times might see a random pop up that may want to install software on our computer. If you do not know what the pop up is for, cancel it, or select no. Do not select yes, or allow to just get rid of the pop up. Research the file name that was trying to install or update on your computer. Sometimes it may be a legitimate program trying to update itself which is true of some popular programs many people use such as Adobe, Java, Apple, Windows updates, and others. When in doubt, hard shut down your computer. If you receive something on your computer that you cannot get out of, the best thing you can do is shut down your computer. If you can’t properly shut the computer down, hold down the power button for a few seconds to force your computer to shut down. 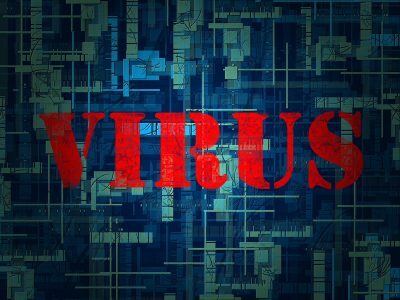 We can all agree that it takes a bit of precaution and understanding on how to choose an anti-virus program for your home or business. It is too common that we hear someone at the office was on there computer and ended up getting a virus. No doubt, for a business there are many other layers of protection to prevent that from ever happening, but each computer should still have a strong anti-virus program. In addition however, we hear of the other scenario that the kids were on the computer again clicking away and received a bad virus which now has caused it to not work properly anymore. Well, TechHub Direct has dealt with all forms of malware. We have much experience in many of the anti-virus programs which include: Kaspersky, Webroot Secure Anywhere, Trend Micro, PandaAV, Norton, AVG, Avast, Avira, ESET, and much more. With so many options, let TechHub Direct guide you in selecting one that will fit your home, business, and budget. If you have protection on your computer but want to make sure your only running one or that it is updated and running smooth, TechHub Direct can check FREE of charge remotely. If you have a business and need powerful security to make sure all your end users are protected, TechHub Direct can provide a FREE consultation to help your business stay secured! Give us a call to request service or a quote at 619-870-9000 and one of our specialists would gladly be able to assist you! Cyber Crime - Are You At Risk?